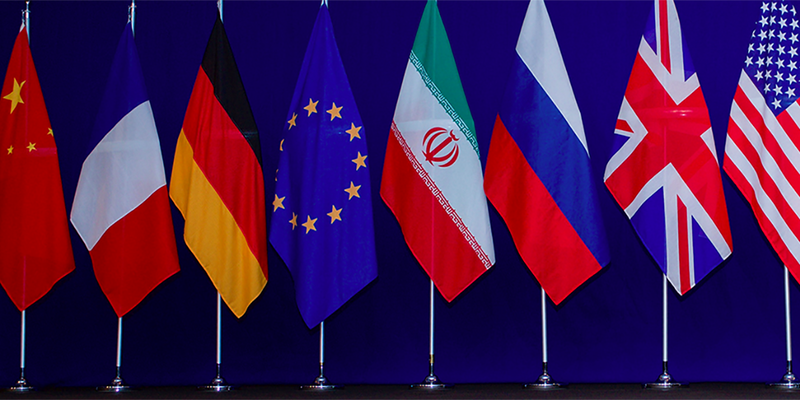 The European Union reiterates its commitment to the Iran nuclear deal, the IAEA Board of Governors releases its report on Iran's nuclear activities, the Atlantic Council offers recommendations on how to preserve and build upon the Iran deal, and more in this issue. Hassan Rouhani wins reelection to serve a second term as Iran's president, the Trump administration certifies JCPOA compliance and waives sanctions for the first time, Iran passes retaliatory sanctions on U.S. defense and intelligence firms, and more in this issue. The Joint Comprehensive Plan of Action's Joint Commission meets to review the Iran deal, Iran and China sign a contract to reduce plutonium output generated by the Arak nuclear reactor, a new round of Congressional sanctions threatens the deal's implementation, and more in this issue. Israel and the European Union discuss the Iran deal during visits in Washington, the International Atomic Energy Agency's director-general says Iran is meeting its obligations, the U.S. Treasury Department designates more Iranian entities connected with ballistic missile production, and more in this issue.